The Newberry Pistol Club Junior Sharpshooters are looking for participants in their Junior Rifle Instruction program. 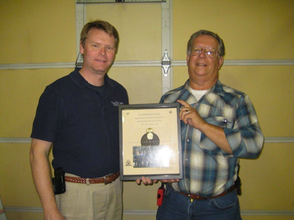 South Carolina: 2013 Session Convenes With Pro-Gun Activity! These are pictures from the GOSC meeting. 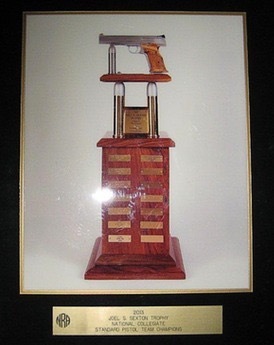 The first picture is of a Trophy that the Citadel received for winning the National Collegiate Shooting Championship. The Trophy is appropriately named after Dr. Joel Sexton and this is the first time that the Citadel has won the Trophy. 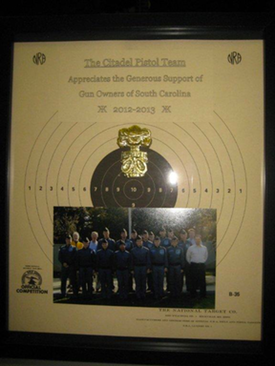 The second picture is of the Citadel Pistol Shooting Team which was presented to GOSC by Coach Robert Patton in appreciation of GOSC's support of their shooting program.